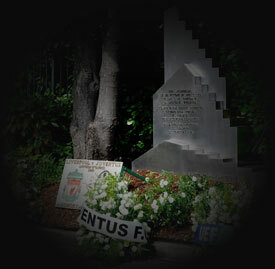 Twenty-six years ago today, on May 29th 1985, 39 football supporters lost their lives at the Heysel stadium in Brussels, Belgium. It was the European Cup final between Juventus and Liverpool. In one section of the ground an area that UEFA had allocated as ‘neutral’ was to be segregated from the adjoining area allocated to Liverpool fans using nothing more than a frail chicken wire fence. The ‘neutral’ area in fact became an area for Juventus fans after the tickets for that section found their way into the hands of touts who sold them onto fans of the Italian club. Before the game kicked off supporters of both clubs in this area of the ground began to throw missiles at each other. This went on for some time and tensions continued to rise before some Liverpool fans charged the Juventus fans. As supporters in that so-called ‘neutral’ section fled, looking for safety, a wall in the crumbling stadium collapsed, killing 39 people and injuring many more. 32 of the dead were Italians, with four Belgians, two French and another from Northern Ireland also dying. They died after trying to get away from the trouble. Liverpool had voiced concerns before the fixture at both the choice of venue – the stadium was literally falling apart – and the decision to allocate that area as neutral. Had those concerns been taken seriously by UEFA and others involved in the organisation of the fixture then the actions of that small group of Liverpool supporters would never have had the consequences they had. Today is a day of sorrow and remembrance. * For an honest account of the day from a Liverpool fan who was there please read this: Our day of shame by Tony Evans, Football Editor of The Times. Couldn’t agree with you more Stenon2. When you look at the stadiums available to UEFA in 1985 there was no excuse whatsoever for choosing a crumbling Belgium one. Was that really the best Belgium could offer? No excuse for the louts that caused the tragedy but in a different stadium it would never have happened.